The off shoulder silhouette is perfect for hot summer days, like the BottleRock weekend a couple of weeks ago where the weather was up in the 90s and the sun was burning. I love the soft white and chambray stripes and the cute peasant bell sleeves of this off shoulder top by Azalea. The best part though is how airy it is, definitely helped when bracing the heat! I paired it with simple white denim shorts, leather mini tote and leather booties. 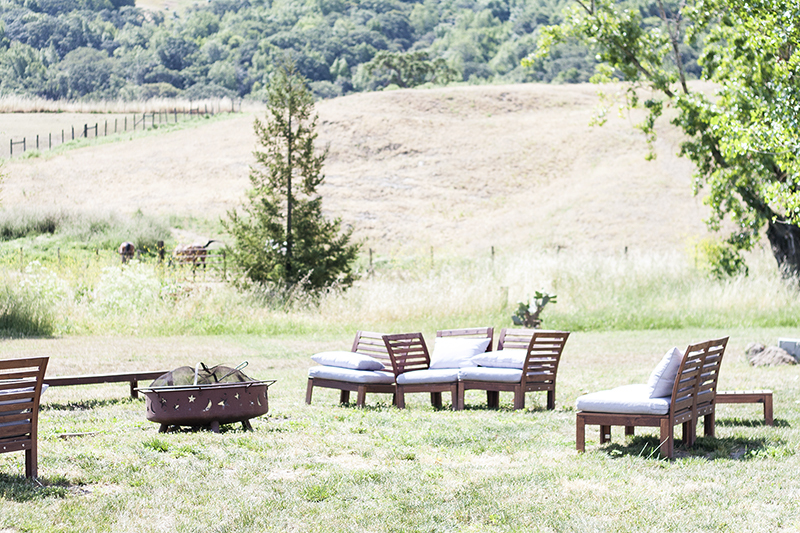 These photos were taken at the ranch we stayed at, it was relaxing and simply breathtaking. Striped off shoulder top c/o Azalea. White denim shorts (old) from F21. Leather mini tote bag c/o Madewell. Gorgeous photos! I love that top!